Has this ever happened to you? You need an emergency cake for a recipe that calls for 1 cup of cake crumbs, and you don't happen to have any stashed away. And you're pretty sure your neighbors won't have any cake crumbs you could borrow, either. 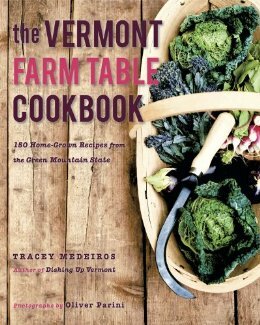 So, you grab the closest book and look for a cake recipe, right? 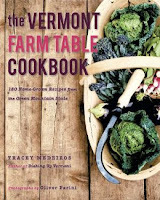 Turns out closest book was The Vermont Farm Table Cookbook by Tracey Medeiros. 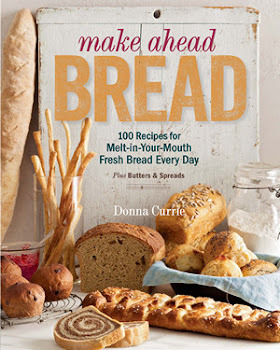 I browsed through the book and found an applesauce cake that I knew would be perfect for my cake crumbs. And it sounded pretty good for eating, too. I cut back a little bit on the spices because I didn't need them for my crumbs, but the cake was great without them. I think it also would have been great with them. The original recipe included 1/8 teaspoon each of cloves and nutmeg. The recipe suggested using home made applesauce, but I'm guessing most people don't have that on hand. I used an applesauce made by a local apple orchard. Not quite home made but pretty darned close. Preheat oven to 375 degrees and spray a 9x13 pan with baking spray. Combine the flour, sugar, salt, baking powder, baking soda and cinnamon in a medium bowl. Whisk to combine. With a stand mixer fitted with the paddle attachment, or with an electric mixer, beat the eggs, butter, applesauce, and vanilla until smooth. Add the flour to the wet ingredients, and stir until well combined, but don't overmix. Pour the batter into the prepared pan and bake at 350 degrees until the top springs back when lightly touched on top and a toothpick inserted in the center comes out clean - about 25 minutes. Put the cake pan on a cooling rack to cool completely. Or, if you like, turn the cake out of the pan and let it cool on the rack. Serve squares dusted with powdered sugar, if desired.